Now is the time to give yourself a denim closet spring makeover. With spring break and music festivals in full swing, it is the month to get your insanely stylish weekend warrior outfits ready. Shorts are getting cheeky this year for music festivals, so you will now know what to wear to Ultra, SXSW and Coachella. Hemlines are moving up, as are the waistlines, with spring fashion trends for 2017 being all about denim shorts; shorts with high-rise waists, cut out detail, fray hems, and embroidery detail. For those cooler evenings, grab some white jeans that show off the ankles to make a statement, because nothing says summer like crisp white denim. Refresh your supply of warm-weather options from STS Blue. 1. The stretchy denim-look leggings have had their time in the limelight and it’s time to go! This Spring, looser, more laid-back, worn-in looks are all the rage! Pants. We all wear them. Around here, we prefer that they are comfy, a great price, and look amazing too. 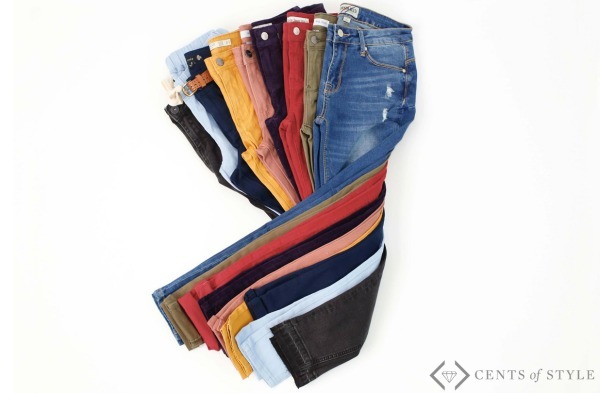 Luckily, Cents of Style has lots of options…in a rainbow of colors…and we love them all! Today Only, shop the best pants in one place, for $10 off the lowest marked price! 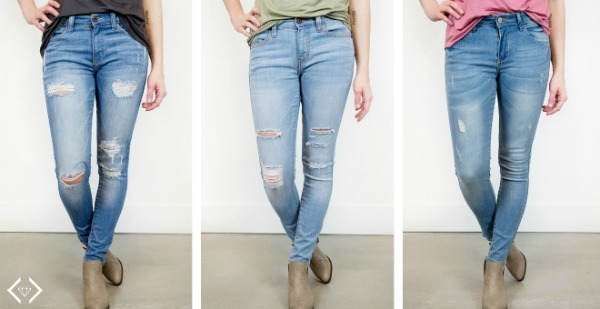 That means Pants and Jeans are starting under $20, and everything is under $30! Use the code: PANTS17 at checkout and it will take $10 off the lowest marked price + FREE SHIPPING! 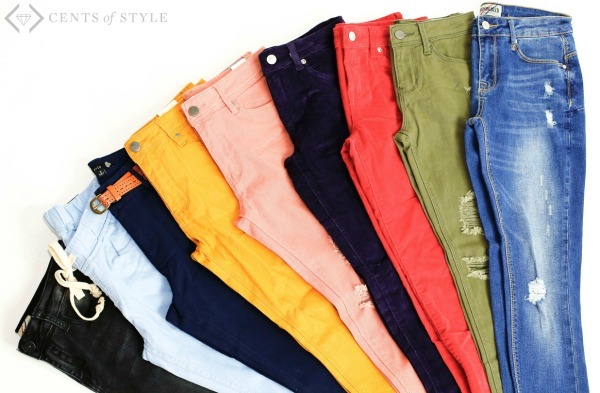 Shop the jeans/Pants Sale Here: Pants! Starting under $20, All under $30!